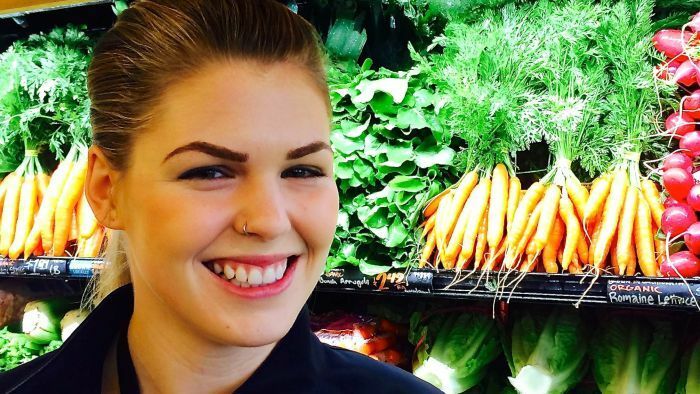 A Federal Court judge has warned fake wellness blogger Belle Gibson she could go to jail if she does not pay $410,000 for duping customers and breaching Australian consumer law. Ms Gibson built a social media empire and launched The Whole Pantry cookbook and app on the back of claims to have cured her brain cancer through alternative therapies and good nutrition. It was later revealed she never had the disease. Ms Gibson had also made false claims about donating a large portion of her profits to charities and to the family of a boy with an inoperable brain tumour. In September last year, she was ordered to pay a total of $410,000 in fines for misleading and deceptive conduct. But Consumer Affairs Victoria (CAV) launched further legal action when Ms Gibson did not pay the amount. Today, the Federal Court flagged the issuing of a penal notice that warned Ms Gibson if she failed to comply with the court order she “will be liable to imprisonment, sequestration of property or other punishment”. “Any other person who knows of this order and does anything which helps or permits you to breach the terms of this order may be similarly punished,” it added. Ms Gibson and Consumer Affairs Victoria have until December 11 to respond to today’s decision, before a penal notice can be issued. “That will give either party, but particularly Ms Gibson, whose interests might be seen to be adversely affected by the conclusions I have reached, an opportunity to make any submissions about these authorities,” Justice Debra Mortimer said. Ms Gibson’s lawyer, barrister Andrew Tragardh, told the ABC he is considering making a submission. In July, CAV requested the Federal Court grant it the power to prosecute Ms Gibson for contempt of court, stating it was concerned she would evade paying the fine. It argued it would mean Ms Gibson would be in contempt if she had the money and refused to pay a fine, or was hiding assets to make it appear she did not have the money. The court heard Ms Gibson would not be in contempt if she was simply unable to pay the fine. Ms Gibson did not tell the court why she had failed to repay the fine. Today, Justice Mortimer criticised Ms Gibson’s “cavalier attitude” towards the court system. “Ms Gibson appears to have little respect for any official processes,” Justice Mortimer said. Despite earning $440,500 from the sales of her book and app, a judge found she made only three donations totalling $10,800. She was fined for five separate contraventions of Australian consumer law. Justice Mortimer described the failure to donate to the Schwarz family as the “most serious” contravention of the law.